Sandra Hogoboom and Ethan Weitz met at her condominium complex while Ethan was visiting his business partner. Sunning by the pool, Ethan decided he had to meet Sandra, searched for something to use as a conversation starter, and quickly used a child’s plastic toy turtle. 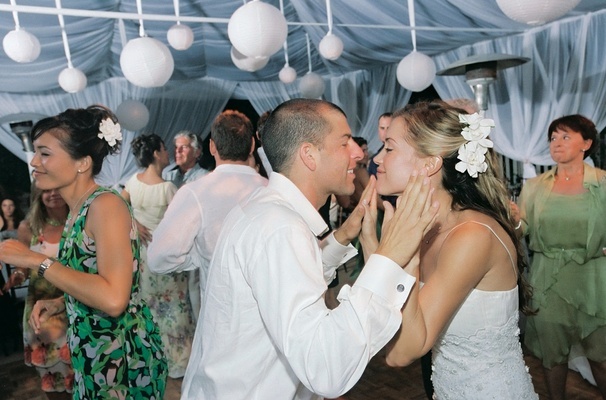 Unusual as it was, it worked; and the plastic turtle was present at their wedding! 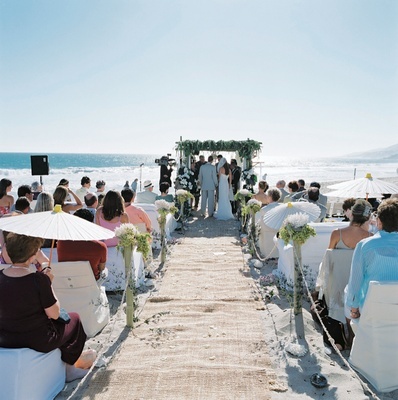 Sandra and Ethan chose a summer beach wedding ceremony, held at a private home in Broad Beach, Malibu. 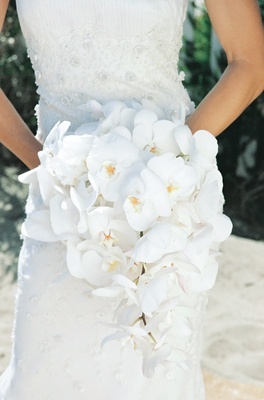 The two of them both grew up near beaches, and wanted a tropical, elegant beach theme, with beige, white, and green colors to represent the natural colors of the shore. 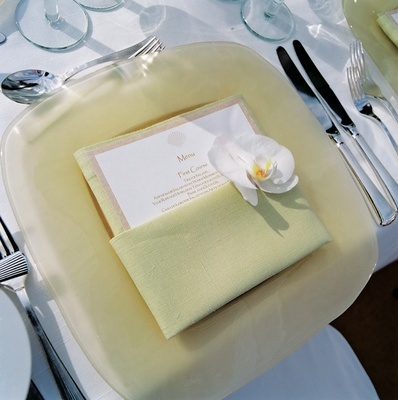 Parasols and fans were distributed to guests prior to the warm afternoon ceremony. 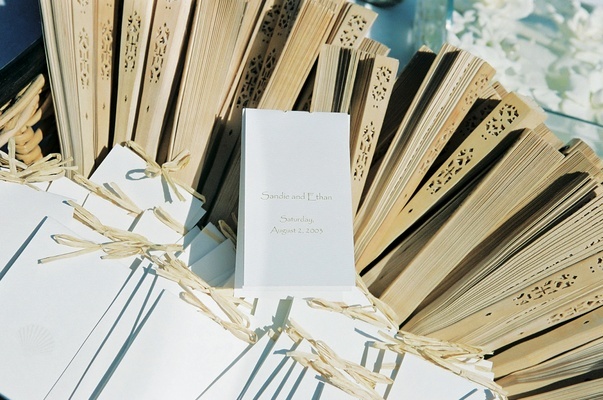 Rather than having the traditional wedding party and ceremonies, the couple chose to incorporate close family and friends by having them read poems, scriptures, and passages. 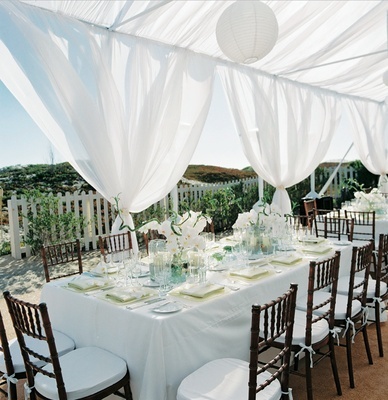 Fitting the casual elegance, a beach tent frame emphasized the intimate, yet airy atmosphere, with sheer fabric wrapped around and flowing to the ground. 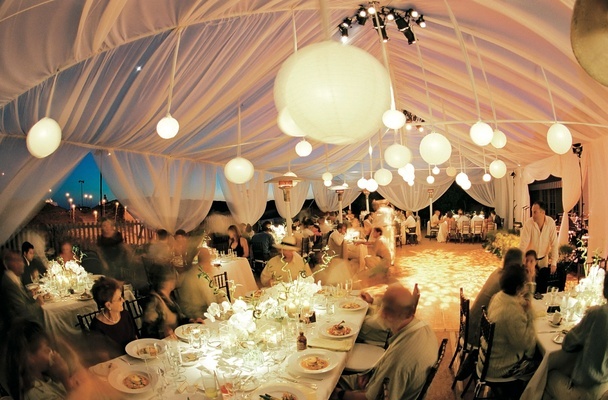 Couches and chairs, slip-covered in white and off-white fabrics, were set up directly on the sand, and square and rectangular tables were used instead of the traditional round shapes, with centerpieces made of lucky bamboo, white phalenopsis, and glass votives with candles, shells, ice plant, and sea glass. 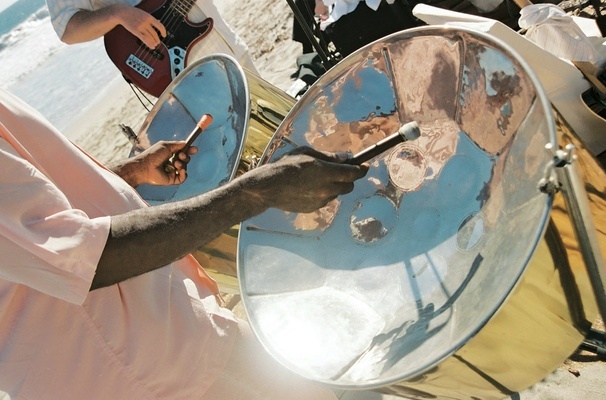 The festive reception featured a live band, which kept the crowd going throughout the night. 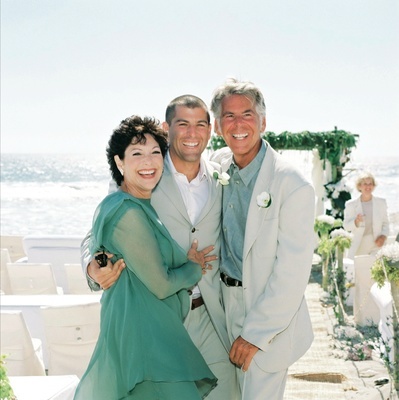 For a sentimental moment, the bride and groom enjoyed their first dance to Placido Domingo’s “A Love Until the End of Time.” Guests ate, danced, and enjoyed the soft comforts of the ocean breeze and sandy shore. The summery dinner fare included a trio of refreshing salads and a risotto course, followed by the choice of striped bass or savory roasted chicken. 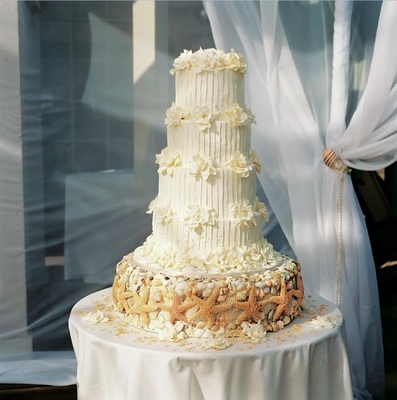 No one was left hungry, after being served a pleated frosting wedding cake (inspired by the bride’s Badgley Mishka gown), and plenty of fresh donuts from the donut-maker and coffee bar. The combination of lively music and the unexpected sugar rush made it easy for everyone to remain in high spirits for the late-night beach bonfire, complete with smores! 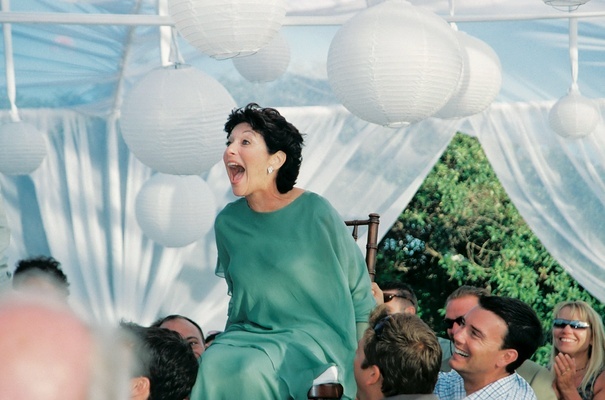 The late night reception, however, did not end in Malibu. 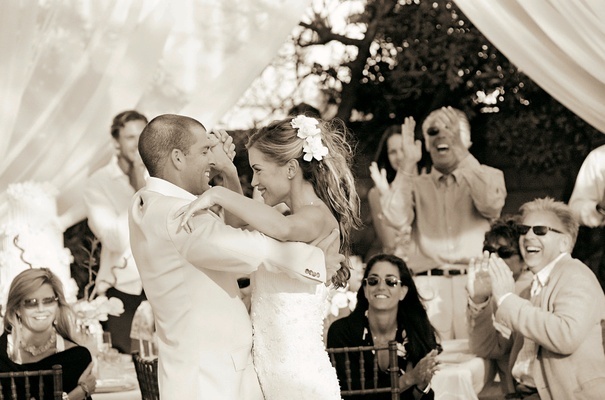 Twenty-eight friends and family members joined Sandra and Ethan for one-week on their honeymoon to Puerto Vallarta, possibly making for history’s longest wedding reception!